It was with great sadness that we learnt of the death of Julie King earlier this week. Julie came to from England to teach art history at UC, and made an important contribution to the art history of Aotearoa New Zealand, curating nationally touring exhibitions and researching and writing about many aspects of art. 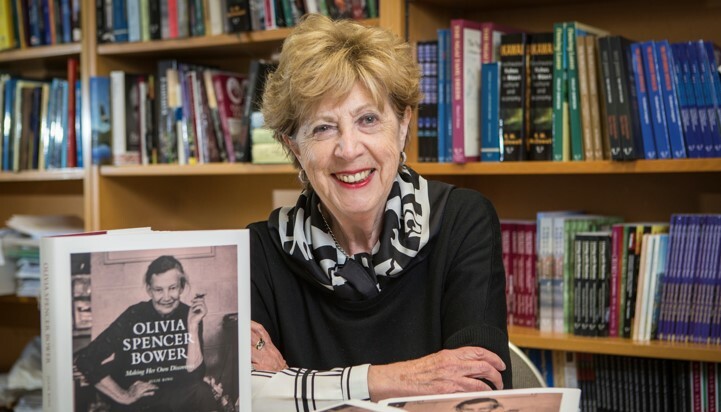 Her book Olivia Spencer Bower: Making her own discoveries was published by CUP in 2015 and has proved popular with a wide audience, just as Julie had hoped and intended. We were privileged to work closely with Julie on this book, which she was determined to complete in spite of various challenges thrown up by the 2010/11 earthquakes. While Julie was serious and professional about her commitments as an author, she had a lightness of spirit that made her a pleasure to work with, and above all it was Julie’s generosity and warmth that we will remember. 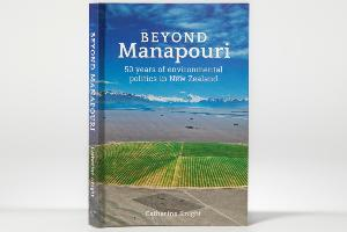 CUP’s new book Beyond Manapouri: 50 years of environmental politics in New Zealand by Catherine Knight was launched on Thursday 14 June by Minister for the Environment Hon David Parker at Vic Books Pipitea, Wellington, a mere stone’s throw from the Beehive. Minister Parker’s engaging launch speech combined personal reminiscences with a fascinating insider’s-view appraisal of Catherine Knight’s analysis and commentary. Among the audience were some of Catherine’s family, friends, and former colleagues from her Ministry of Environment days, members of the Philipp Family Foundation, which had supported the publication, and representatives from Ngati Kauwhata, part of whose story is told in the book’s chapter about the strengthening voice of Maori in resource management. Catherine’s response to Minister Parker’s speech was warmly received, she was kept busy signing copies for some time afterwards and has already received a number of invitations to speak about the book. You can purchase your own copy of Beyond Manapouri from UBS (University Bookshop), or go in the draw to win a copy by answering the following question. Please email your answer to: universitypress@canterbury.ac.nz by 12 noon Wednesday 27 June. The winner will be drawn at random and announced in Intercom | Pā mai tō reo on Friday 29 June. CUP is happy to confirm a Q&A event with Catherine Knight will be held on campus at UBS in the early evening of Tuesday 14 August. More details to follow! 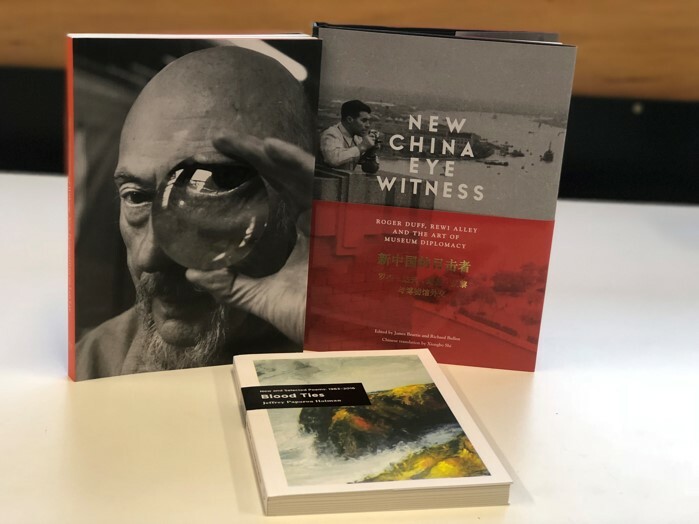 Canterbury University Press (CUP) is delighted to share the news that three of its 2017 titles have been shortlisted in the PANZ 2018 Book Design Awards, one of them in three categories. The designers we work with go above and beyond to help us create books as beautiful objects, and we’d like to thank all of them. We congratulate Aaron, Gemma and Alice and wish them all the best in the Awards Finals on 26 July. Note – on the PANZ site you can ‘look inside’ the books by clicking on the cover. Alternatively, come into UBS on campus to look at, and get a feel for, the real deal.